Films from Indian directors lapped up most of the awards apart from one film from Afghanistan and another from Bangladesh. The 2nd South Asian Short film Festival organised by the Federation of Film Societies of India – FFSI (Eastern Region) closed Sunday evening (31 March) at Nandan, the Film Centre in Calcutta, with a fabulous Award Ceremony presided over by Mr. Kiran V Shantaram, President of FFSI, where the eminent filmmakers and film personalities Mr. Sekhar Das, Mr. Shyamol Karmakar, Ms. Oindrilla Hazra and Mr. Siladitya Sen were present as the Guests of Honour. 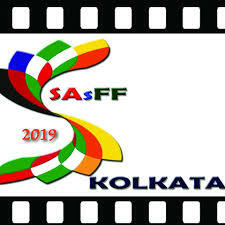 A selected package of the award winning films will be screened tomorrow, 1st April Monday at 5.30PM at the Satyajit Ray Film and Television Institute Calcutta in a Special Screening Program to be presided over by Ms. Debamitra Mitra, Director of SRFTI. The program is open to all.